Following on from the East Village, I have been expecting an explosion of dumpling restaurants in Brooklyn’s Williamsburg neighborhood but it hasn’t really happened yet. There is an outpost of Vanessa’s and the nearby M Shanghai Bistro and Garden. While M Shanghai feels like a hipster bar thinly decorated with Shanghai style accouterments, there appears to be a crack team of Shanghai chefs in the kitchen sending out some great dishes. The menu is based on the owner’s Grandmother’s cooking and her happy memories of eating homemade dumplings with her family. The Dumplings: M Shanghai has a pretty deep menu of dumplings, but I was only able to sample a few of them on this outing. 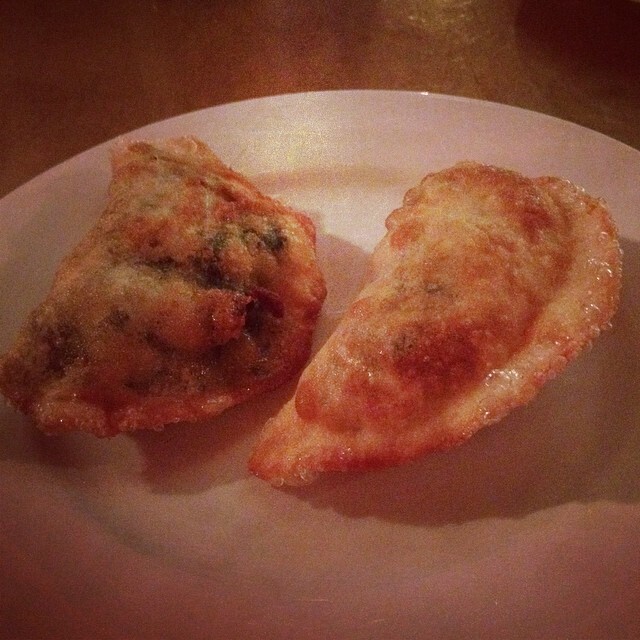 Chive and Egg Dumplings – These deep fried dumplings were full on, in my face, with chives – you better like chives if you plan to order these. The scrambled egg didn’t really add much except perhaps smoothing out the mouth feel a little and toning down the chives. Sticky Rice Shumai – This is one of my favorite styles of dumpling. Unfortunately they are pretty hard to find and you need a Shanghai style restaurant with a deep menu for these to show up. 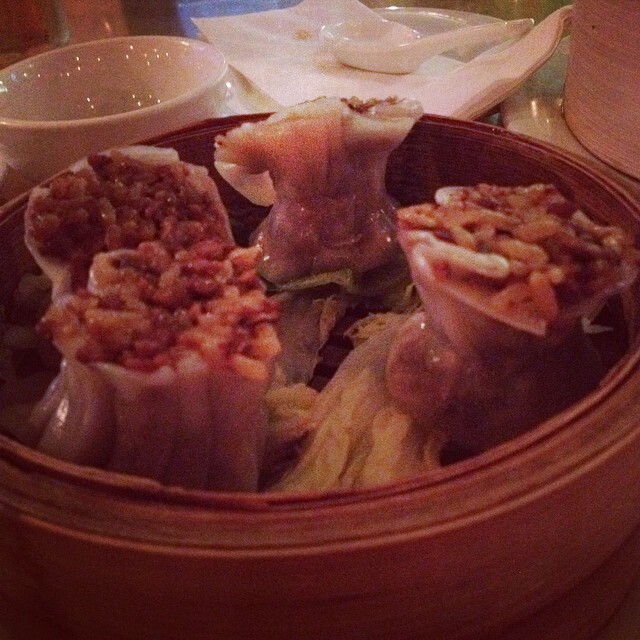 This style of shumai is filled with sticky rice and ground pork, such that each piece is akin to a slice Cajun Boudin. The serving I was given at M Shanghai was not the best I have had, the dumplings had a really good savory seasoned pork flavor, but the rice and wrapper were both dry. Pork Soup Dumpling – M Shanghai turns out some excellent soup dumplings. The wrappers were thin purses of supple dough that just barely contained the soup and pork filling. The dumplings contained about a spoon and half of soup that was lower in fat than your usual soup dumpling, more of a broth. The pork meat ball filling was finely ground, smoothly textured and great tasting. The Dipping Sauce: The bar and the tables have bottles of soy sauce, black vinegar, and rice vinegar and tubs of sambal chili paste. I sat at the bar for dinner and for each round of dumplings the bartender mixed up an individual bowl of dipping sauce to go with the serving. The bartender turned out to be a good dipping sauce mixologist. The Location: M Shanghai is on Grand Street between Roebling Street and Havemeyer Street in Brooklyn’s Williamsburg neighborhood. Grand Street in that area is a lively strip of bars, music venues and restaurants and M Shanghai is a great spot to grab a bite before a show. 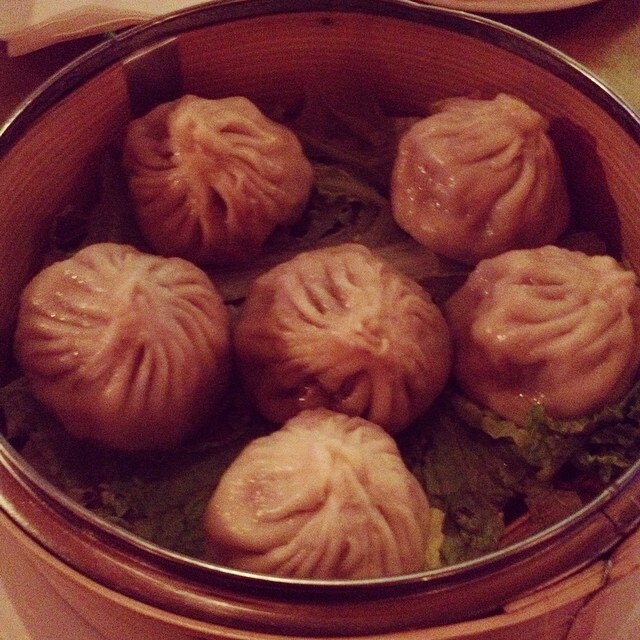 This entry was posted in Chinese, New York City, Shanghai, Shumai, Soup Dumpling. Bookmark the permalink.